The City of Detroit has become the first Tier 1 city in the USA to use RoadBotics’ AI (artificial intelligence) pavement assessment technology to survey its road network and provide data for its asset management and maintenance programs. Since launching in December 2016, the Carnegie Mellon University spinoff has assessed roads for more than 90 cities, towns and counties around the USA, with Detroit becoming the latest city to use RoadBotics’ technology to inspect its 2,600-mile long (4,200km) road network. Due to funding support from Michigan’s innovation agency, PlanetM, RoadBotics will use its machine-learning technology to assess the city’s entire road network, providing Detroit officials with its standard AI pavement assessment, as well as a brand-new AI Maintenance (AIM) tool for unsealed cracks. Detroit will be the first city to pilot the AIM tool, which will assist the city’s public works officials in taking a preventative approach to road maintenance. With RoadBotics’ tools, Detroit officials will have the data required to target road maintenance efforts on planning and cost-saving road treatments that can dramatically extend the life of pavements and improve quality for drivers. Cities and towns regularly assess their roads by sending out inspectors who drive around looking for signs of damage and manually recording type, extent, and location. However, this is time-consuming and can be expensive. 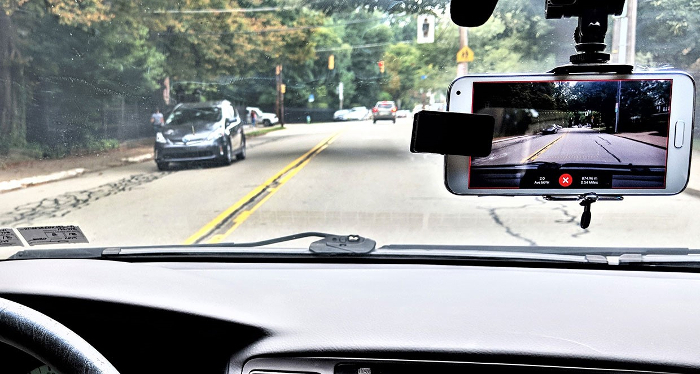 The RoadBotics system uses a standard smartphone mounted on the windshield to capture videos and corresponding GPS data for its software to analyze. The company offers road assessment as a service, either sending out one of its own vehicles, or the city can use its own service vehicles, such as garbage trucks or street sweepers, to collect data as they drive around the network. Through the company’s proprietary app, videos along with their GPS location are uploaded to a cloud server. The company’s AI algorithm then uses deep-learning techniques to analyze each frame in the video, pixel by pixel. Specially ‘trained’ neural networks detect different types of damage. 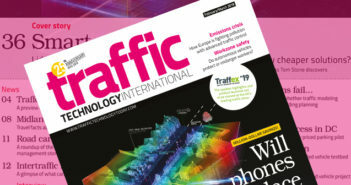 RoadBotics says its AI can identity every useful aspect of the road surface as well as a human can, from potholes to more nuanced factors such as bumps, depressions and cracks. 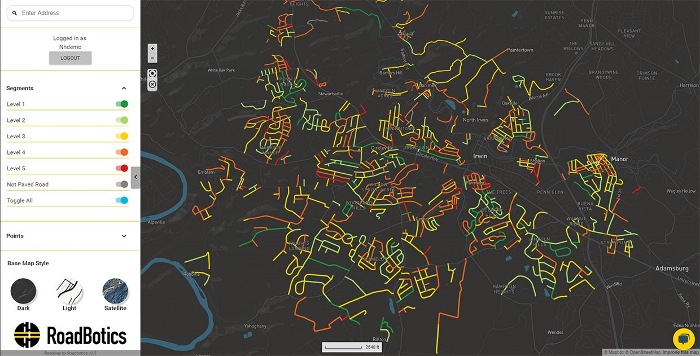 The software creates a map of the road network with an overlay that shows each 3m stretch of road on a color-coded scale, with 1 (green) being excellent and 5 (red) meaning poor and in need of repair. Based on conditions and usage, city officials can use the map to assess where best to spend their road-repair funds. “This partnership and pilot with RoadBotics will provide us with data and insights about our road conditions that will help our engineers determine where to objectively allocate our resources and maximize investment in maintaining our residential streets in the best condition,” explained Oladayo Akinyemi, deputy director of Detroit’s Department of Public Works. Adam joined the company in 1994, and has been News Editor of TTT since 2009. 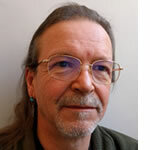 In his other role as Circulation Manager, he helped create the original Traffic Technology International distribution list 23 years ago, and has been working on it ever since. Outside of work, he is a keen fisherman, runs a drumming band, and plays an ancient version of cricket.